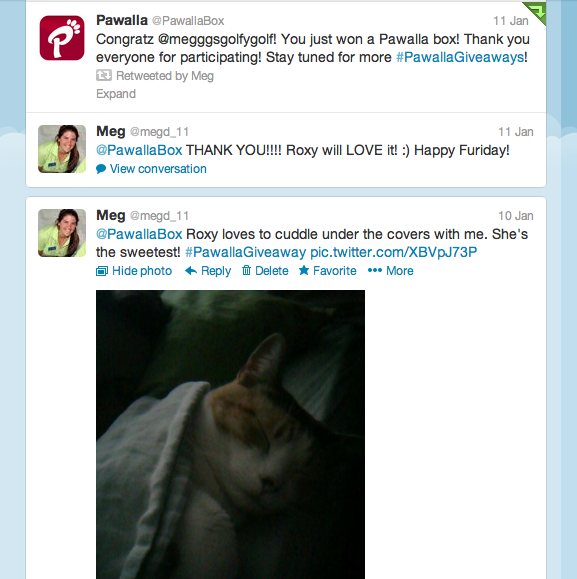 Well, a couple of weeks later, Pawalla did a giveaway asking what followers love most about their cats. Surprise: this happened! Oh boy, were they excited! It included 3 types of treats, 2 types of wet food, a toy, and a stain and odor remover. So far, their favorite part is the Wellness Pure Delight jerky. Stop by the Pawalla shop to find more great items for your pet and to sign up for a monthly box! "Who wants a treat??" "I do! I do!" 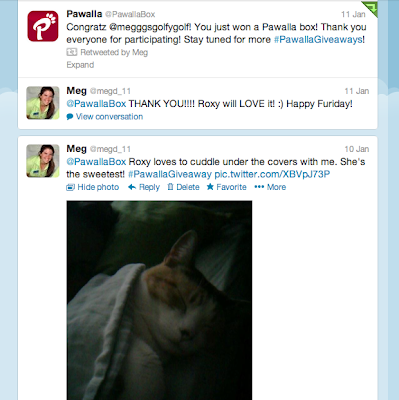 Thanks, Pawalla for making two very happy kitties! Ohmigosh I'm so excited you won a box! I loved the box we got for Casey, it's a really awesome company. Those pictures are great! 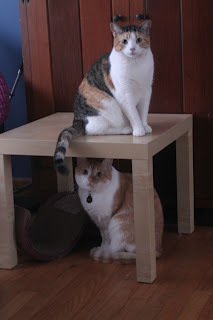 Love those pictures of you and your kitties! I don't know if my cats would like the box. They both don't really like treats or toys. They are just old grumps now.